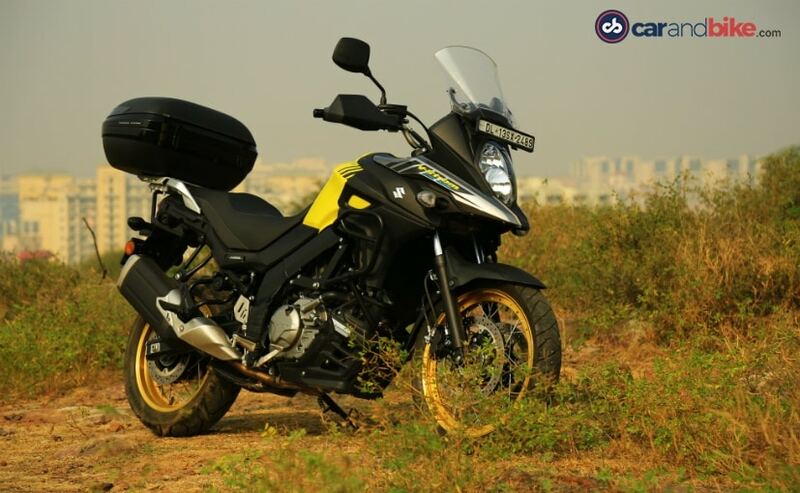 Adventure bikes may be quite the rage, across the world, and even in India, and the Suzuki V-Strom 650 XT is the latest entrant in a long list of ADV offerings in the Indian market. We’ve already reviewed the V-Strom 650 and it’s certainly a nice bike, even with its limitations. An adventure bike certainly makes a practical, do-it-all choice, particularly in a country like ours. These bikes have a comfortable riding position, and they can be used for the daily commute, for some weekend fun, and can effortlessly do the occasional long ride. 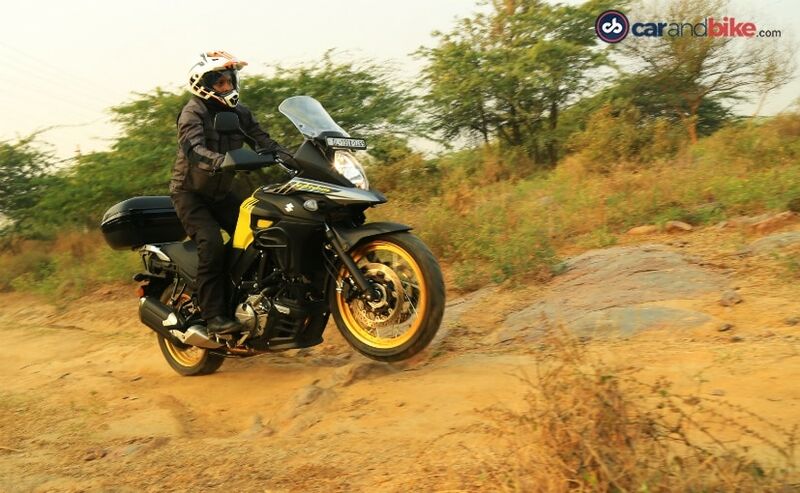 At ₹ 7.45 lakh (ex-showroom), the Suzuki V-Strom 650 XT is one of the more affordable adventure bikes on offer. The problem is when you walk into a Suzuki dealership to book one. At almost the same price, you also have the Suzuki GSX-S750. 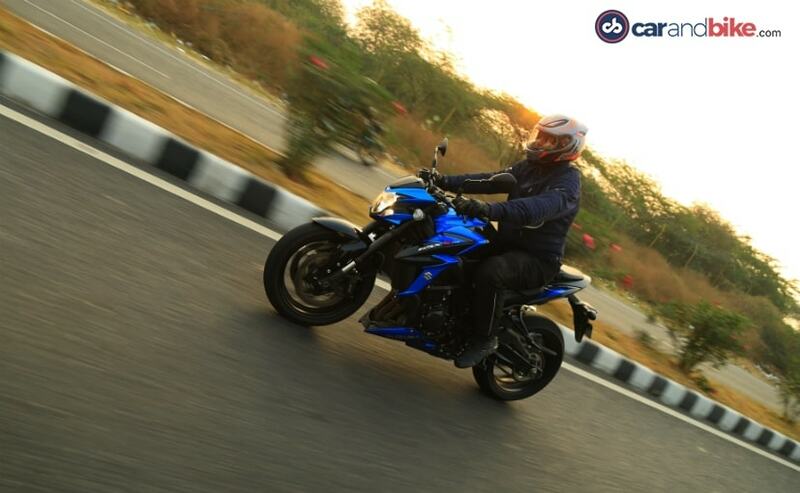 We’ve ridden the GSX-S750 on the racetrack and on regular roads, and it’s an absolute hoot to ride! So, there begins the dilemma! 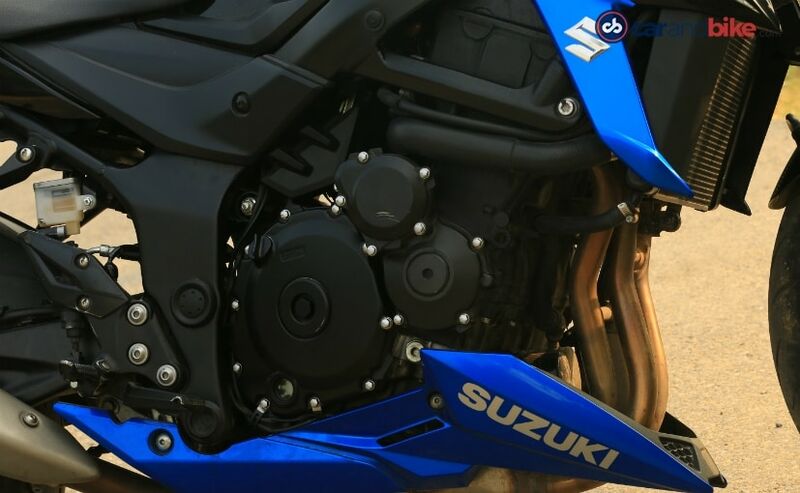 The GSX-S750 has a larger 750 cc engine compared to the 650 cc of the V-Strom, it’s got an in-line four cylinder engine, compared to the V-Strom’s v-twin engine. But it’s no ADV! It’s a naked street, but you can very well use the GSX-S750 as your daily ride, and it will be a lot of fun on the weekends as well, and you can very well do an occasional long ride on it, so long as you stick to tarmac. So, the question – which Suzuki should you put your money on, and why? They are as different as chalk and cheese! The Suzuki V-Strom 650 XT follows typical adventure bike styling with the beaky front end, muscular flanks and the tall windshield. Couple that with the gold-coloured rims on the wire-spoke wheels and you get a handsome bike, which promises to take you beyond the horizon and more. The standard plastic hand guards, and engine bash plate, (even if these aren’t really tough as nails solutions, but basic plastic) give you a sense of a robust motorcycle, which will go the distance and is ready to take on the rough. It may be a 650 cc ADV, but it still tips the scales at 216 kg. If the V-Strom 650 XT is a battle-hardened grizzly, the Suzuki GSX-S750, in comparison, is a coiled and muscular feline, ready to spring into action at a moment’s notice. 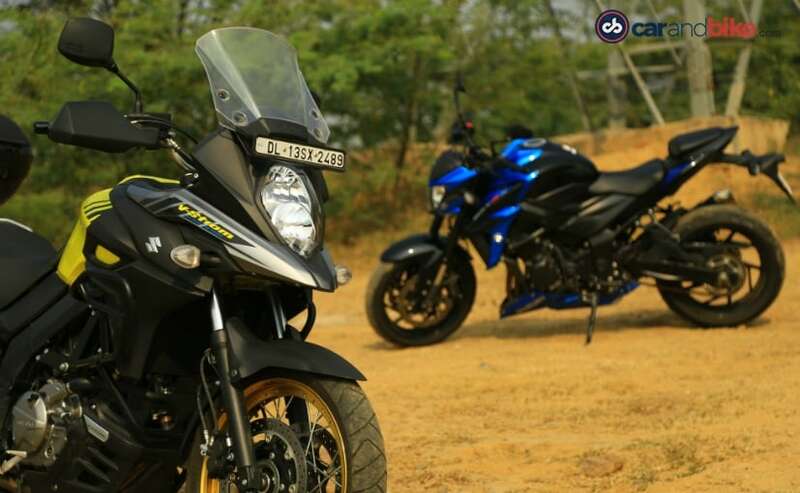 The GSX-S750 looks quite similar to its elder brother, the GSX-S1000 and that’s a good thing. It’s got the same muscular looks, with sharp creases in the bodywork – on the fuel tank, side panels and the belly pan. 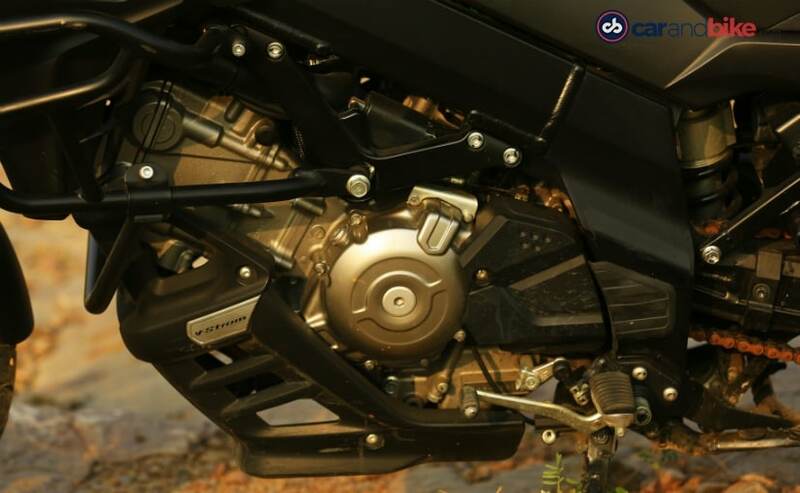 The fat upside down front forks give even more appeal to the GSX-S750’s butch front end, as does the fat rubber – a 120 section on the front and a 180-section on the rear 17-inch cast wheel. 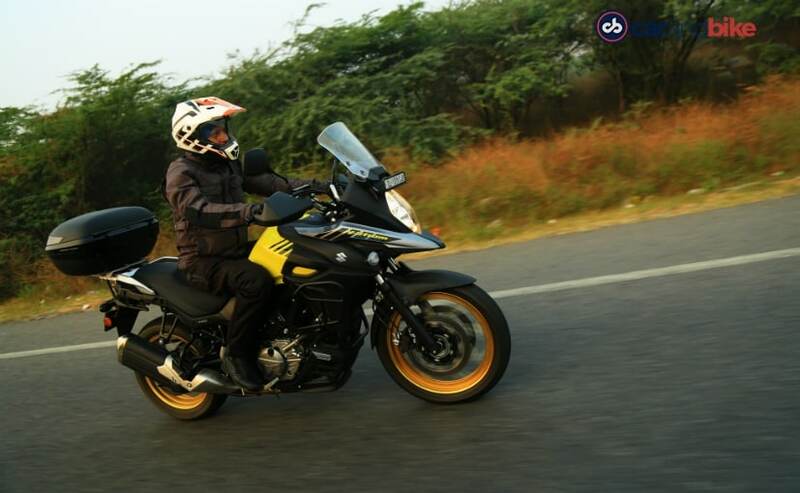 On the V-Strom 650 XT, you sit up straight, with a commanding view of the road ahead. The cockpit is basic, with a large analogue rev needle flanked by a digital LCD screen. But there’s ample information on display, and more than enough for your needs, including fuel range, selected gear, clock, and trip meters. There’s a standard 12V charging socket on the dash as well to keep your navigation and communication equipment powered up on a long ride. In terms of electronics, there’s standard dual-channel ABS, which cannot be switched off, but the two-level traction control system is switchable. The Suzuki GSX-S750 is no ADV, but it’s no aggressive naked sport either. Despite its sporty pedigree, the riding position of the GSX-S750 isn’t so committed that it leaves your back and arms tired after a couple of hours’ ride, and you seek a break every once in a while. In fact, the S750’s ergonomics are quite comfortable for daily street duty, and you can even very well do the occasional highway jaunt without much complaint. And of course, it may be a naked, but you can certainly have the occasional fun on the racetrack too; and with a 215 kg kerb weight, it may not exactly be your lithe naked to filter through traffic, but just a nudge on the handlebar is all it takes to countersteer and it will come intuitively on the GSX-S750. This is where there’s a lot of difference in the character and personality of the two bikes. 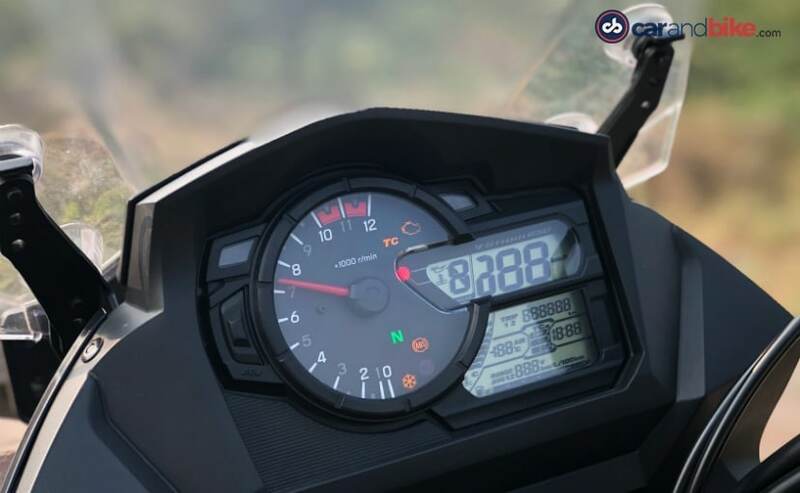 The Suzuki V-Strom 650 XT uses a 645 cc, liquid-cooled, v-twin engine which puts out modest figures of 70 bhp at 8,000 rpm and 62 Nm at 6500 rpm. The v-twin is smooth, and torquey, and it’s all about playing with a strong low and mid-range, rather than pure acceleration. Not exactly exhilarating, but perfect for adventure duties, where covering long distances in a relaxed pace, climbing mountains and fording the occasional mountain stream is what you’d be looking at doing, rather than blistering pace. 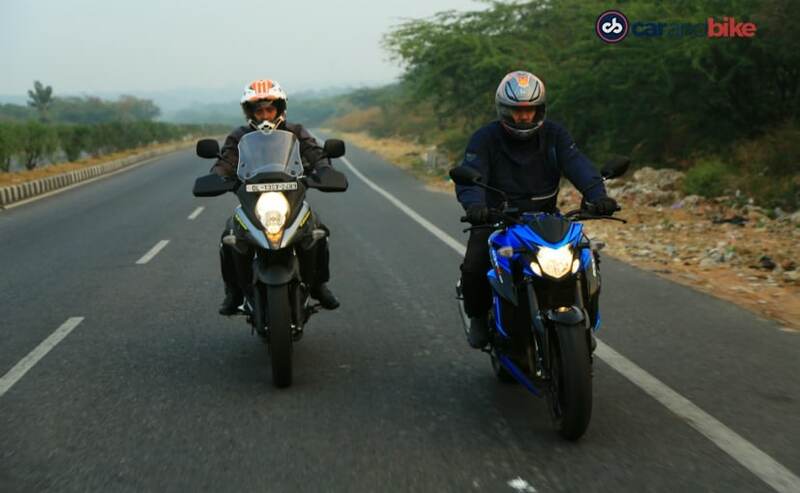 Oh, yes, it can cruise happily at 130 kmph all day, and the 20-litre fuel tank will ensure the V-Strom 650 will require fewer breaks on a long ride, than you, the rider. The Suzuki GSX-S750’s liquid-cooled, in-line four cylinder engine is the party piece that makes it so different from the V-Strom 650, and gives the S750 its endearing and unique personality. The 749 cc, in-line makes 112.6 bhp of maximum power at 10,500 rpm. Peak torque of 81 Nm kicks in at 9,000 rpm, but it’s not how much the engine makes, but how it’s handed out to the rider. 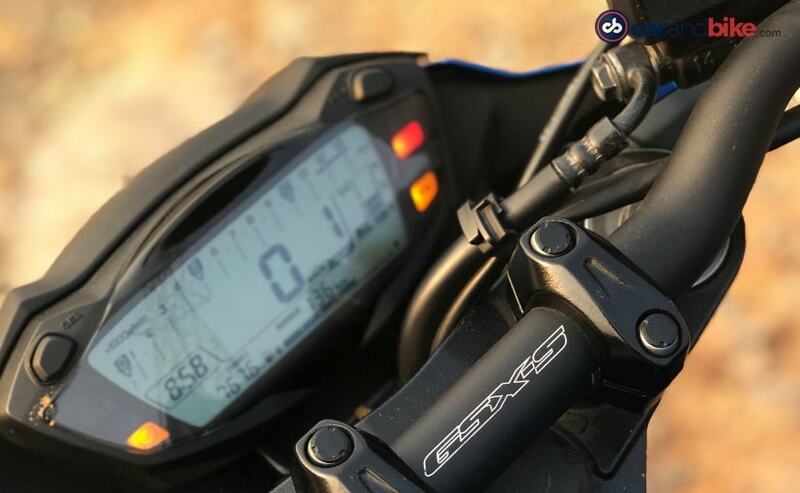 Of course, that intake road is pronounced even at low revs, but in traffic the GSX-S750 will be easy to live with, and other motorists may even be fooled into giving you just the once over. But make no mistake! Give it a handful of throttle and some revs through the gears, and the beast in the GSX-S750 wakes up, and there’d be no time for other contenders on the street to react and take notice. 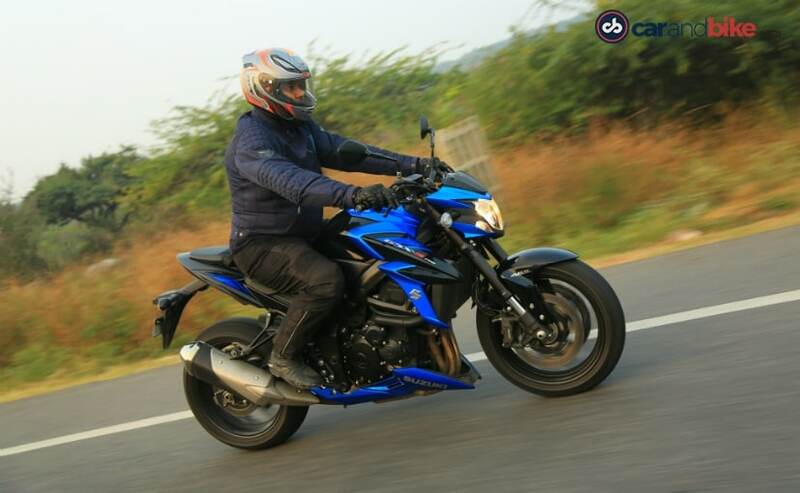 At 7,000 rpm and above, the road and anything else on it will be a blur, and coupled with the sweetest soundtrack from the intake and exhaust the GSX-S750 makes for a thrilling and addictive ride! And if you’re not careful and get taken in by that sweet sound of the in-line four, you may soon find yourself on the wrong side of the law, and tread on dangerous territory – to yourself and to other road users. The Suzuki V-Strom 650 XT feels like the all-conquering locomotive, gently gliding over road undulations, broken patches and even the occasional broken road. It’s no true-blue off-roader, but the V-Strom 650 XT shrugs off almost everything you throw at it, in terms of surface. Broken roads, rocky roads, gravel roads and mountain trails can be traversed without any difficulty, but more experienced off-road riders may find its limited ground clearance and suspension travel rather limiting, especially when tackling more technical trails. But for the newbie adventurer, the V-Strom 650 XT has enough capability and more for the usual adventure, even to the high Himalayas. The Suzuki GSX-S750 handles beautifully! All you need to do is nudge the handlebar and the counter-steering manoeuvre will see you take on corner after corner, with an ease which you will appreciate immediately. Yes, the 215 kg kerb weight is a hindrance, particularly when taking low speed about turns in the city. But take the GSX-S750 out to a race track, and you will revel in how easy it is to dip into a set of corners and scrape your knee pucks in abandon. The ride may be slightly on the stiffer side to complement the sweet handling, but it’s not exactly back-breaking to complain about, even after a few hours in the saddle on streets. And yes, you can quite easily take it on a long ride, without your body complaining, as long as you stay on tarmac. The Suzuki V-Strom 650 XT is a sweet-natured adventure bike. It looks great, is well-built, and has a smooth and torquey engine which will be a boon in your two-wheeled adventure. The 19-inch front, 17-inch rear, wire spoke wheels with tubeless rubber will ensure your adventures will be without drama when the going gets rough. With a 20-litre fuel tank, and an average fuel consumption of around 22-23 kmpl, the V-Strom 650 XT will ensure you travel across the length and breadth of the country to get to your favourite mountain road, or to the best beach destination. It’s difficult to find fault with the V-Strom 650 XT, and at ₹ 7.45 lakh (ex-showroom), it’s not as expensive as many other mid-size adventure bikes. The Suzuki GSX-S750, on the other hand, may not be the practical, do-it-all machine, but it more than makes up for it by the sheer persona of its character and playful personality. It’s a joy to ride the GSX-S750, and every single time you take it out for a spin, it’s guaranteed to plaster a big smile on your face. It may not have the displacement or the numbers to rival litre-class performance bikes, but it’s more than enough to have you laughing inside your helmet every time you grab a fistful of that throttle, and if you aren’t careful with that (read – traction control off), it can give you some hairy moments as well. It’s one of the best middleweight nakeds to have fun on, and to polish your track skills before you graduate to big boy league in the litre-class. 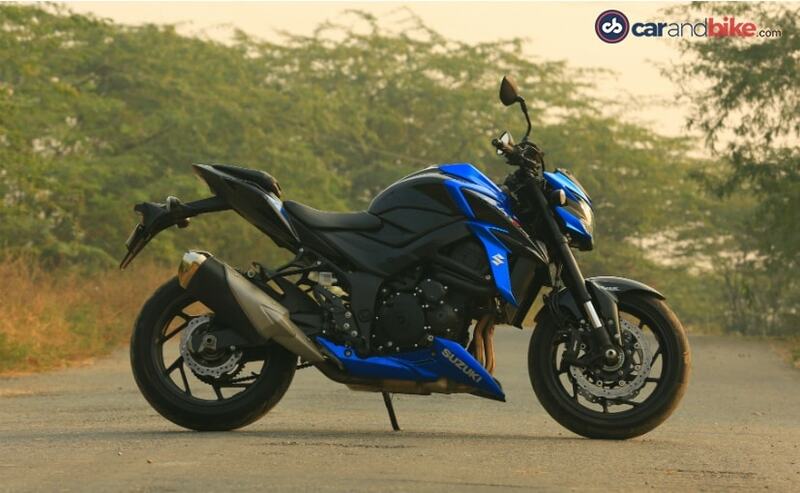 And that’s why, for every rupee for fun, it’s the Suzuki GSX-S750 which gets our vote in this comparison.